When complete, Australia 108 in Melbourne Australia will be the world's tallest residential tower. Australia 108 (previously 70 Southbank Boulevard) is a residential supertall skyscraper currently under construction in the Southbank precinct of Melbourne, Victoria, Australia. 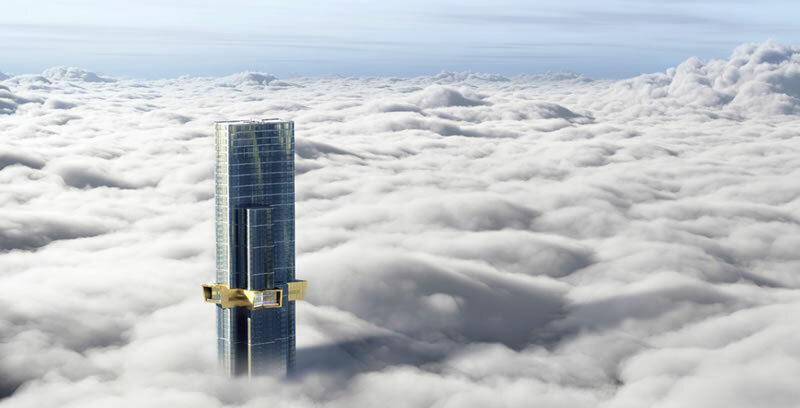 When completed, it will become the tallest building in Australia by roof height, surpassing the Eureka Tower, and the second-tallest building in Australia by full height, surpassed by Q1. The World Class Land development project consists of a 317-metre-tall (1,040 ft) apartment building with 1,105 apartments over 100 floors. Construction of the revised Fender Katsalidis Architects-design by Brookfield Multiplex commenced in 2015, with completion expected in 2020. Inspections by appointment only. Call Swee Ng on 0424 583 188.